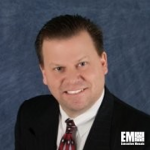 Jeff Boushell, former director at Science Applications International Corp. (NYSE: SAIC), has joined Herndon, Va.-based Mission Essential as vice president of capture, GovCon Wire has learned. Prior to SAIC, he held senior leadership positions at CSRA’s defense and intelligence group, Altus Consulting, Vulnerability Research Labs, Verizon’s (NYSE: VZ) federal network systems unit and Lockheed Martin (NYSE: LMT). He also served in business development and management roles at Engility, which was acquired by SAIC in January, and spent a decade in the U.S. Army as an intelligence officer. Boushell is a GovCon industry veteran with decades of experience across corporate business development, application design and development and program management areas. Mission Essential provides intelligence analysis and operations support; language and cultural advisory services; intelligence, surveillance and reconnaissance platforms; and cybersecurity support to clients within defense and intelligence communities.